This online course provides in-depth guidance on evidence-based speech and language therapy, offering practical recommendations and strategies based on a detailed review of the scientific research into speech, language and working memory development for children and young people with Down syndrome. 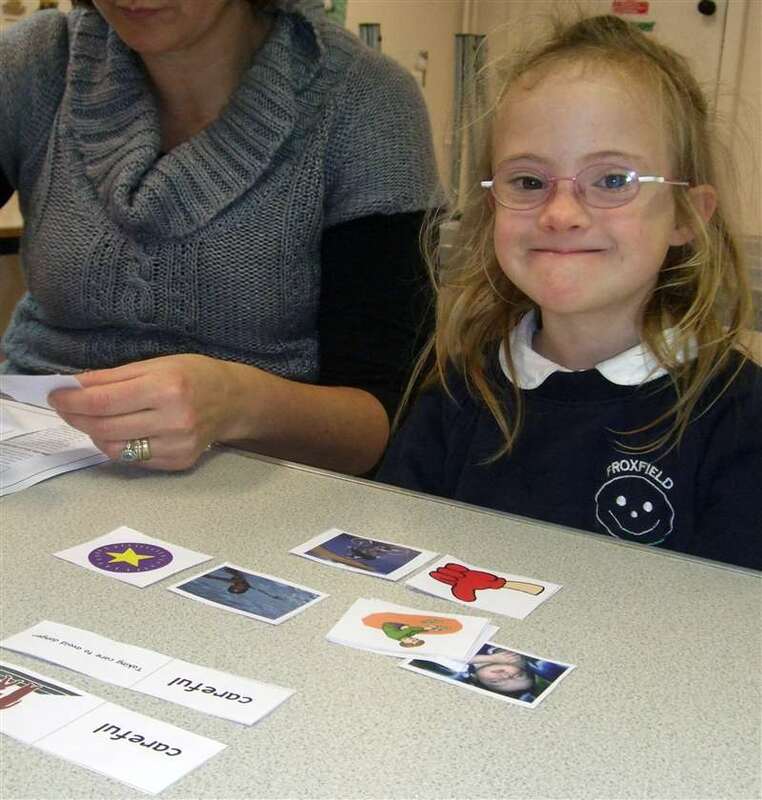 Designed for speech and language therapists/pathologists working with young people with Down syndrome, the course offers comprehensive practical guidance for assessment and planning, developing communication, vocabulary, grammar and speech from the early steps in infancy through to early adulthood. The course will also be of interest to educators and parents seeking a detailed understanding of speech and language development and intervention for young people with Down syndrome. Presented and led by Professor Sue Buckley OBE, the course covers working with young people with Down syndrome from infancy, considering the wide variability in development seen, and also addressing the needs of children with more complex needs, including dual diagnoses. Although the course focuses on learning English, most of the principles and practical advice can be applied to any language. Available research examining how individuals with Down syndrome learn other languages or become bilingual is discussed. Speech and language development for individuals with Down syndrome - the challenges and reasons for optimism - In this module we examine the typical speech, language and communication profile of individuals with Down syndrome and what research tells us about the factors that influence their progress. Some of these factors are associated with having Down syndrome - such as hearing loss and verbal short-term memory issues. Other factors are changes to the language learning environment at home and at school that may reduce opportunities to learn and develop spoken language. 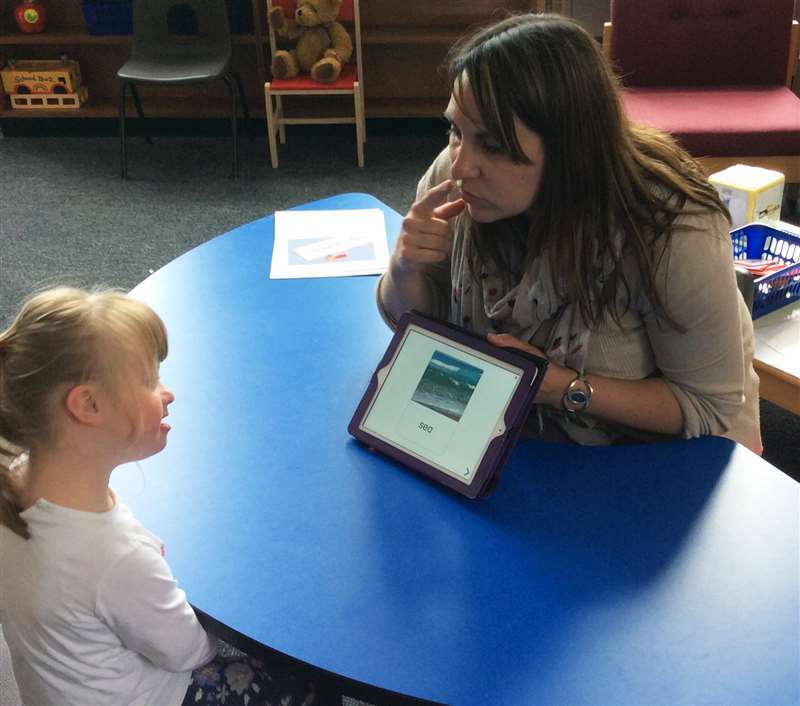 We also consider what we can learn from research into factors influencing progress in typically developing children, and in children with specific language impairment (SLI) who exhibit a similar language and working memory profile to children with Down syndrome. This review of the available research highlights the issues that we need to address and identifies some key points for developing effective and comprehensive interventions. Understanding and improving working memory - Speech, language and working memory development are closely interrelated. This module outlines the working memory system, its components and development. It reviews the research investigating working memory and interventions in individuals with Down syndrome and individuals with hearing loss, SLI and typical development. This module ends by drawing out the practical implications for effective practice to both improve working memory and speech and language development. What can we learn from intervention research? - In this unit we review the published speech and language intervention studies involving children and young people with Down syndrome. These include studies aiming to improve communication skills, vocabulary development, sentence and grammar development and speech. We consider the evidence of outcomes, the processes which may explain these outcomes, the intensity of interventions, and who delivers interventions - therapists, researchers, parents, assistants. We identify what this research suggests about the characteristics of effective interventions. Effective training for parents, carers and educators - A number of studies have identified the benefits of involving parents or educators in delivering or supporting interventions. In this module we consider the extent and types of training and support that parents and educators received and how we can take this from research to practice. The greatest opportunities for children to develop their speech, language and communication skills occur in everyday situations where they want to talk. We consider how to train and support parents and educators successfully. Assessments, planning and monitoring interventions - This module starts by summarising what we have learned from the first four modules and draws out the principles that should underpin effective interventions. It then discusses expert guidance on assessments, including ways in which parents and educators as well as therapists can assess individual progress and identify targets. It includes information on how children develop their skills across communication, vocabulary, grammar and speech, and how an effective intervention plan needs to consider targets in each domain. It considers how progress in one domain may influence progress in another and discusses ways to continuously monitor and record progress. It also considers the needs of bilingual children. Developing communication and social use of language - This unit looks at communication from infancy to adult life - how to get your message across effectively using non-verbal communications, gestures and pointing to holding a conversation or telling a story (narrative). It provides some norms on expected rates of communication development into the school years. It also reviews relevant research and its implications for the use of signing and other augmentative and alternative communication (AAC) approaches. It then reviews the research into the diagnosis and needs of individuals with a dual diagnosis of autism and Down syndrome and provides some guidance on interventions for those with more complex needs. Teaching and extending vocabulary - This module begins with a review of the research into vocabulary development for children and young people with Down syndrome and provides some norms for expected rates of vocabulary development. It provides practical guidance and example activities to teach comprehension and the production of vocabulary from first words. We discuss ways to develop the number of different words that a child knows, their understanding of how these words may vary in meaning when used in different contexts, knowledge networks of words with related meanings and category knowledge. We discuss opportunities to learn new vocabulary linked to the school curriculum and the vocabulary needs of teenagers and young adults. Teaching and extending sentences and grammar - This module begins with a review of the research into grammar and sentence development in children and young people with Down syndrome. It outlines the way in which grammar develops in spoken language and provides some norms on expected development. It discusses strategies that can be used during everyday conversations to help children and young people develop more complex sentences as well as specific teaching activities. It considers the ways in which sentence and grammar learning can be embedded in the school curriculum and how reading activities can be used with both independent readers and non-readers to help them progress. Supporting speech development and improving intelligibility - This unit begins with a review of the research into speech development for children and young people with Down syndrome. It provides some norms on how speech production develops. It discusses the ways to support children and young adults to develop clear speech from the first year of life, through school to adult years. It stresses the need to ensure that they can hear, produce and discriminate between the speech sounds in their language. It provides guidance for improving the clarity of word and sentence production based on published studies. It highlights ways in which phonics instruction for reading can also support speech development. It also considers other aspects of spoken production including prosody and dysfluencies. Next steps - developing better services and resources - The final module recaps on what has been learned on the course and the issues it highlights. It considers the challenges we face in putting what we know into practice in ways that therapists, parents and educators can implement. It considers the gaps in our knowledge and how researchers and practitioners might work together to address them. It also considers the challenges for service development and the different ways in which these might be addressed. We recommend setting aside around 4 hours per week for 10 weeks (or 2 hours per week for 20 weeks) to study this course and to gain the most from it. We provide access to the course for a period of 52 weeks, during which time participants must successfully complete each module and all of the assessments in order to receive a certificate of achievement. You can order via either of our online stores - in the UK (in British Pounds) or in the US (in US Dollars).